The Sentinel series regulators from Marshall Excelsior have FNTP drip lip tapped ports and E-Z grip screens located over the inlet. The Southeastern Showcase section features companies exhibiting at the Southeastern Convention & International Propane Expo, including RegO. 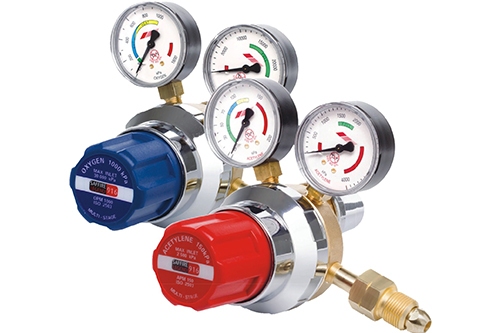 RegO updated its Series LV4403, LV404B4 and LV404B9 LP gas regulators to include easier-to-read and easier-to-find engraved date and identification information. 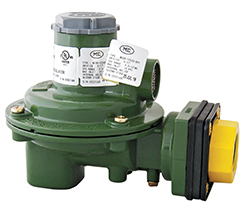 RegO’s second-stage regulators incorporate Jomar’s dielectric union into their inlet fittings. RegO released a mobile application that is designed to help propane retailers calculate propane pipe and tube sizing. The Cavagna Group completed the acquisition of Afrox’s Gas Equipment Factory, part of the South African subsidiary of the Linde Group.